The best thing about modern travel is that it’s never been easier or more convenient to plan a late getaway and grab a few days away somewhere exciting and new. There are a host of charming, vibrant and intriguing locations that you can reach within a short flight – perfect for spending a long weekend with friends or a partner. Need some inspiration? Let’s take a look at some of the best value holiday deals for a summer break and why each should be on your shortlist if a cheap holiday is on your agenda! If Portugal is still at the top of your holiday wish list, then the Algarve is a great location to start with. 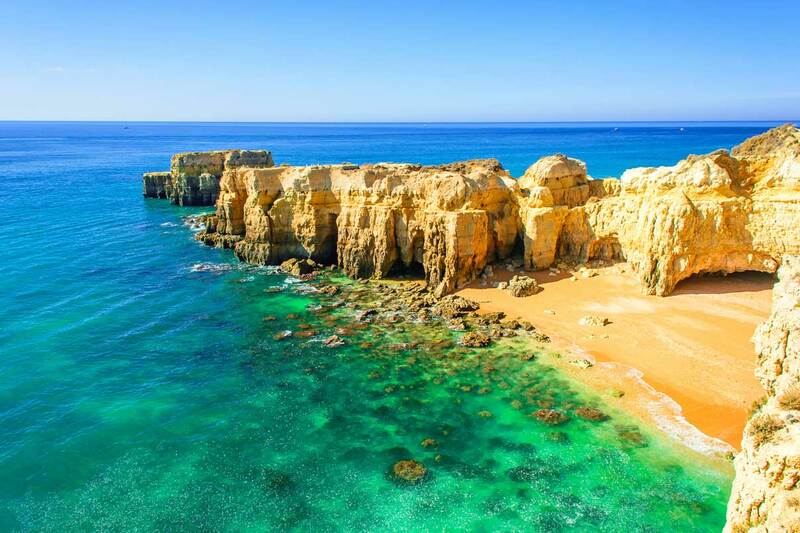 Broadly speaking, the Algarve region of Portugal is usually a sound bet for a reasonably cheap holiday or short break for families, couples and even solo travellers. And at approx. three hours from Ireland, you’ll be there in no time! In August, temperatures hover around 25-28°C making it perfect beach and outdoor weather. With over 100 beaches along the coastline – many of which boast Blue Flag credentials- and stunning cliff tops as a backdrop, you wouldn’t want to be anywhere else. Adventure-seekers will love the diving opportunities, expansive golf courses and waterparks all easily accessible. Portuguese culture is laid back and leisurely, with traditional tavernas and markets lining many of its quaint streets. You’ll find fresh sea food and spicy paellas to tuck into, and no shortage of wine to wash it all down. For nightlife, head to Albufeira and Lagos for lively clubs, bars and pubs. Fan of festivals? Check out the annual Portimão Sardine Festival in August or live music at Festival F in September in Faro. With an average temperature of 30°C in August, Majorca wins on the sunshine front. 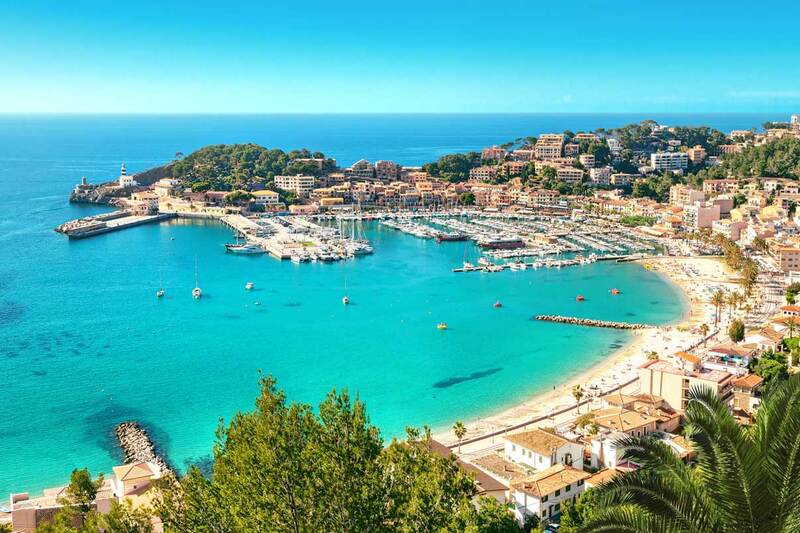 But there are hundreds of reasons to explore this beautiful Balearic Island this summer. Take your pick of attractive golden beaches, palm-lined shopping streets and pine-filled mountains. Majorca certainly has good looks on its side with universal appeal. Families head to Cala Bona, Alcudia and Puerto Pollensa for the child-friendly beaches, stylish hotel resorts and al fresco restaurants. Cosmopolitan Palma is home to the best shopping on the island with both independent shops and big name stores. You’ll also find a prominent LGBT scene here with lively bars and café’s near Bellver Castle. And Magaluf is where the party crowds descend each summer season, especially at the popular BH Mallorca. Nature lover? There’s an abundance of outdoor activities to be enjoyed in the more rural parts of Majorca, such as cycling, hiking and rock climbing. Often as warm as 30-35°C in August, it’s not just the glorious sunshine that will have you swooning over Turkey. Steeped in history and offering a beautiful coastline, holidays to Turkey are all about beach days, authentic Turkish cuisine and outdoor adventures. From hiking up mountains to exploring ancient tombs, there are endless things to immerse yourself in in Turkey. Antalya – known as the Turquoise Coast or Turkish Riviera – offers some of the most stunning scenery, pebble and sand beaches, and ancient Lycian history. Some of the upmarket resort towns of Belek and Lara Beach are in this area too. 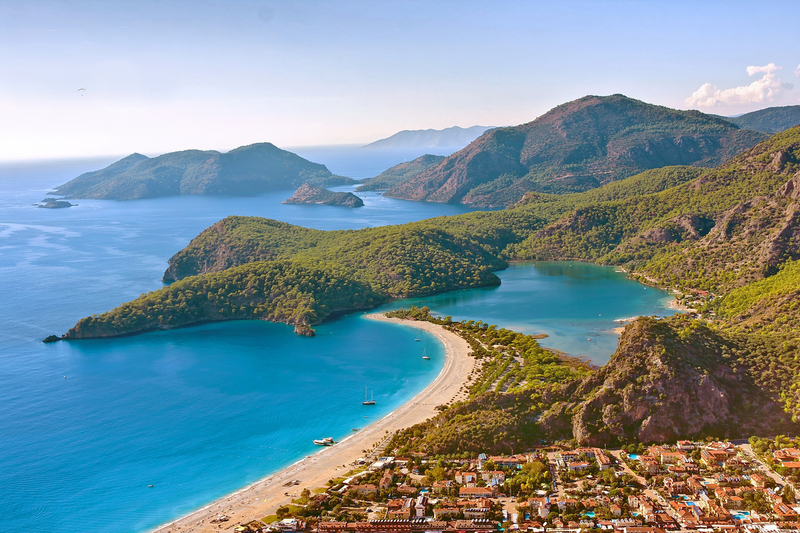 Along the Dalaman Coast in the southwest, the popular resorts of Marmaris, Fethiye and Icmler are home to national parks, colourful towns and Blue Flag beaches. And in Ölü Deniz, you’ll find the world-famous Blue Lagoon. 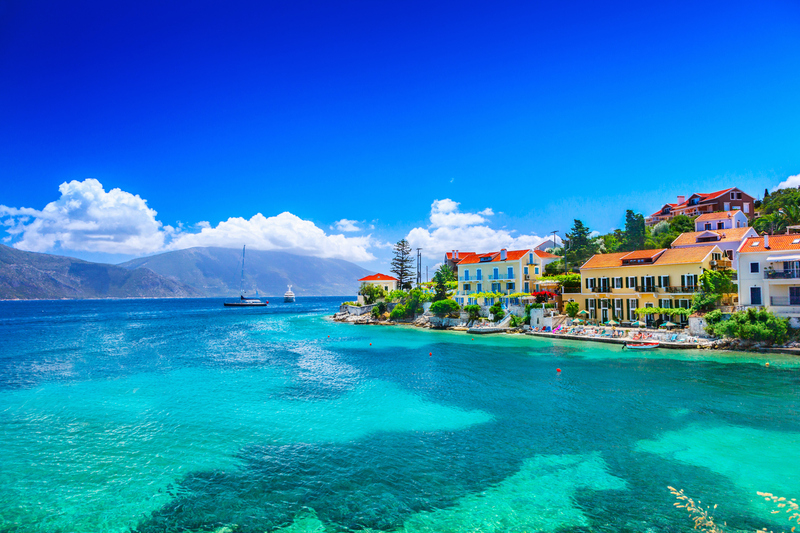 Discover the beautiful countryside and laid-back way of life in Kefalonia. Tucked away west of mainland Greece, the island is characterised by its bays and coves and is the biggest of the Greek Ionian Islands. But it is most famous for being the location for the Hollywood blockbuster, Captain Corelli’s Mandolin. Head to the popular resorts of Skala and Lourdas for the best nightlife and bars, while Fiscardo’s main draw is the yacht harbour and quaint cafés. Kefalonia is perfect for anyone wanting to sample traditional Greek culture and village life, alongside restful beach days. Luckily, the average temperature sits at 26°C in August, so you can make the most of the great outdoors. Why not explore local wildlife in Kefalonia national park? It’s the perfect way to get up close and personal with protected species. It’s no surprise that Tenerife remains one of the most popular destinations in the Canary Islands. With close proximity to the west coast of Africa, you’ll enjoy warm temperatures year-round. With thriving nightlife, watersports and hiking trails to keep you entertained, Tenerife ticks all of the boxes for a fun-filled holiday. 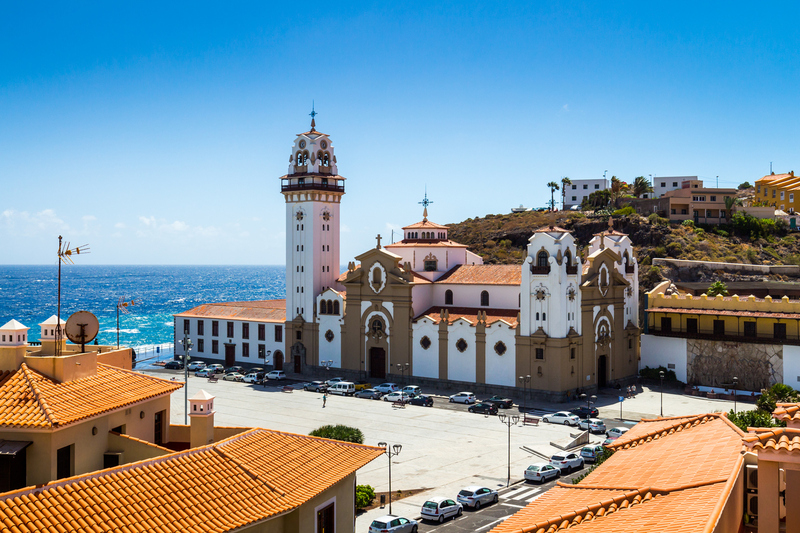 As well as the vast mountainous backdrop and distinctive black sand beaches to relax on, Tenerife offers the chance to immerse yourself in cultural activities too. In the bustling port of Santa Cruz, take your pick of trendy retail shops around Plaza de España, to the stunning architecture of the Parliament buildings. You’ll find interesting museums and iconic landmarks and monuments to explore too. Head to Santa Cruz in February to take part in the vibrant carnival that takes place in the city.